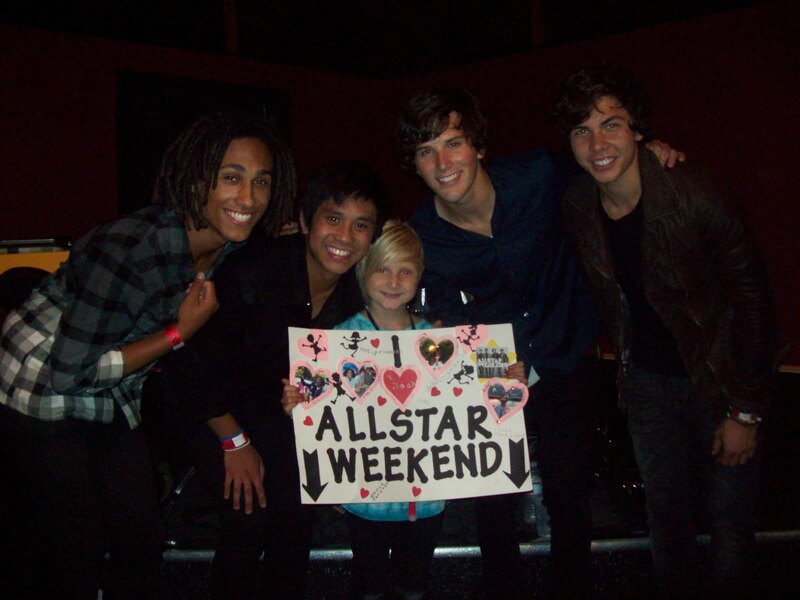 Allstar Weekend is a American pop/rock band from Poway , California. The lead singer is Zach Porter, the lead guitarist is Nathan Darmody, the bassist is Cameron Quiseng, and the drummer is Michael Martinez. 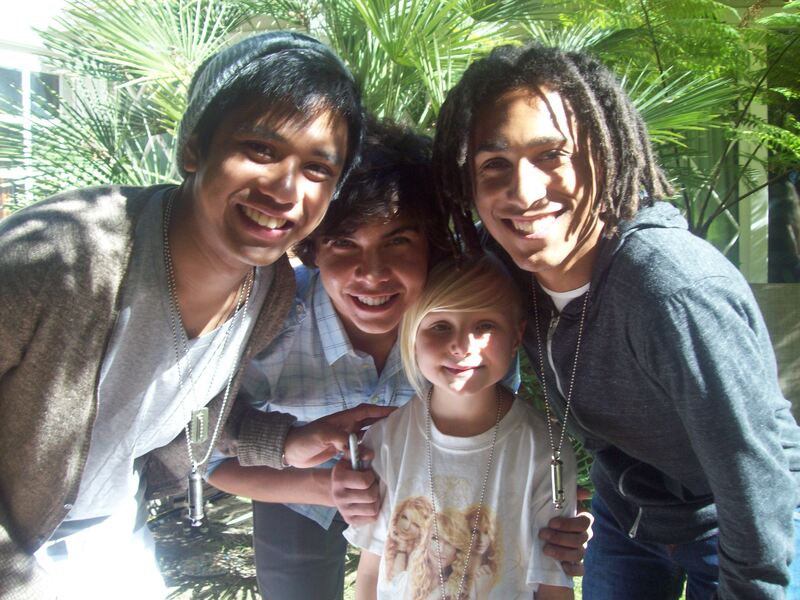 They first got popular on Radio Disney’s Next Big Thing contest. Even though they came in 2nd , a few months after the contest, they got signed by Hollywood Records. 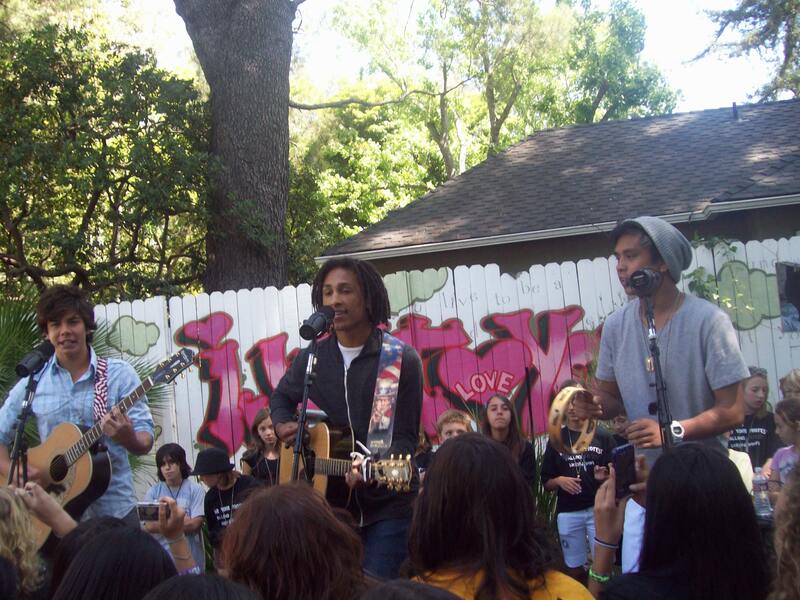 In June 2010, they began their first headlining tour, Suddenly Summer Tour, around the United States and Canada. Zach, Nathan and Cameron went to the same high school together. Michael went to a rival school but they are all good friends. The band was first called Outerspace Politicians. They changed the name to Allstar, Then they added Weekend for legal reasons. The guys have always been super sweet to me and my mom. I’m one of the youngest fans that see them a lot of times. They seem really happy to see me. My mom and I usually work hard on a sign so they know we’re big fans! 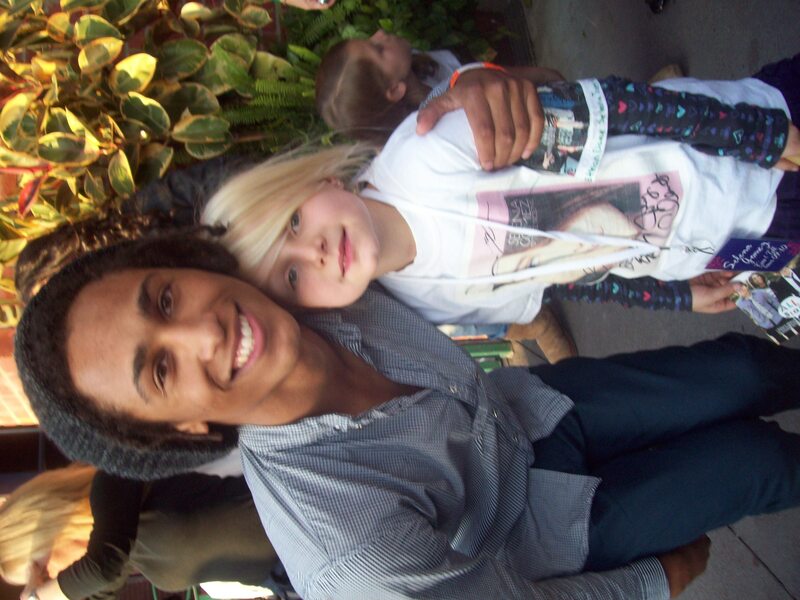 They are really good about meeting fans for free after concerts. They are also awesome about keeping in touch with fans on Twitter. They each have their own twitter and there is a band Twitter. Going to their concerts! You’ll LOVE them!!! 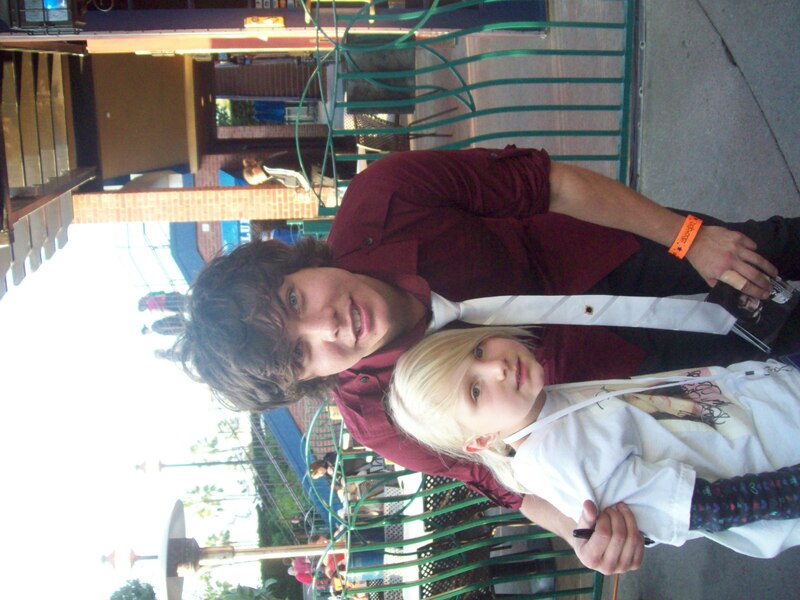 We saw them open for Selena Gomez at the House of Blues in Anaheim. After Nathan and Cameron were outside signing CDs. Next, we saw them at a charity event where the money raised went to Falling Whistles., a charity that helps protect young boys in the war in the Congo. Zach wasn’t there that day but the guys did a great job! We got to hang out with them, Tiffany Thornton, Sterling Knight and Billy Ray Cyrus for a whole afternoon! We saw them at Downtown Disney, at a store called Disney 365, when Suddenly Yours came out! They signed my CD and poster. the top picture was taken there…. We saw them at the Roxy on Sunset. it was a CD release party. I saw Anna Margaret there. She took a pic with me n her way to the VIP section! We saw them at the LA County Fair. That was a fun day. 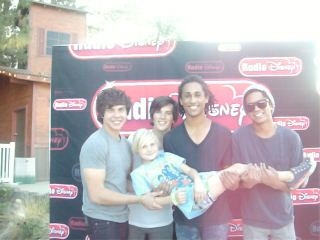 At the Meet and Greet my mom just scooped me up and the guys held me like this. Since we had pics with them already, we wanted something different. We also saw them at Shop Til U Rock in Glendale. They came on after Demi Lovato. 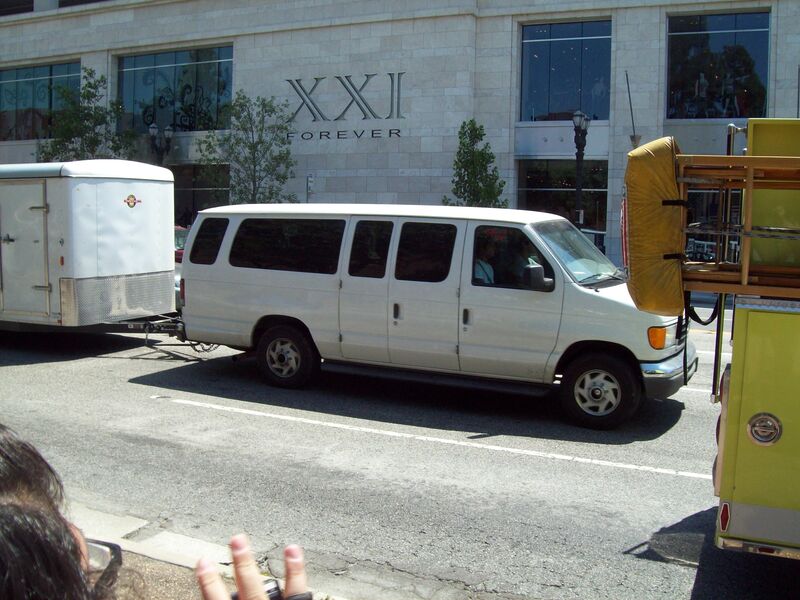 We saw them pull up and go in. We had been in line since 6am so even though we love these guys we were too tired to stay. I know we’ll see them again in 2011!